If the flax grower had expanded their production, but the spinner, weaver and machine maker had not, then the flax grower would be left with excess output that could not be sold. 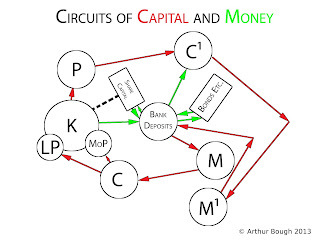 Marx is setting out here the various points in the circuit of capital where a breakdown can occur, resulting in overproduction and crisis. He details these far more, later in the chapter. What we see here are breakdowns in the circuit as a result of disproportions arising within different interlinked spheres of production. And the condition for this is that all of these commodities are produced, and become available on the market, in the correct proportions. Some commodities can only be consumed whereas others can only be used as means of production, whilst others may fulfil both roles. The producers of consumption goods require means of production, but, because the producers of means of production cannot consume their own product, they require the producers of consumption goods to produce a sufficient surplus of them to meet the consumption needs of the producers of means of production. And similarly, the producers of means of production must produce means of production in the proportions required to meet the needs of producers of consumption goods, as well as producing enough to meet their own needs, so as to replace the means of production used in their own production. 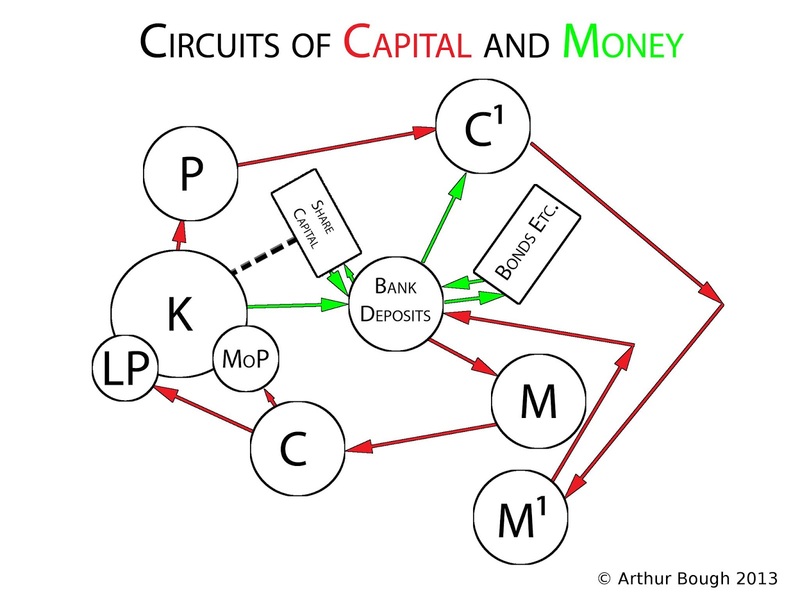 In analysing the development of capital, it was seen that all of these commodities were available in the market precisely because capital does not come into existence from nothing. Thousands of years of production of products for direct consumption, and then of commodities that are produced and exchanged by petty commodity producers takes place, before capital comes into existence. Consequently, a capitalist baker is able to buy flour, eggs, milk and butter from a peasant farmer, because the peasant farmer has surplus of these commodities that they take to market to sell, in order to obtain other commodities, or money, in order to be able to buy other commodities. As capitalist production spreads, these commodities become available on the basis of that production, and the division of labour.